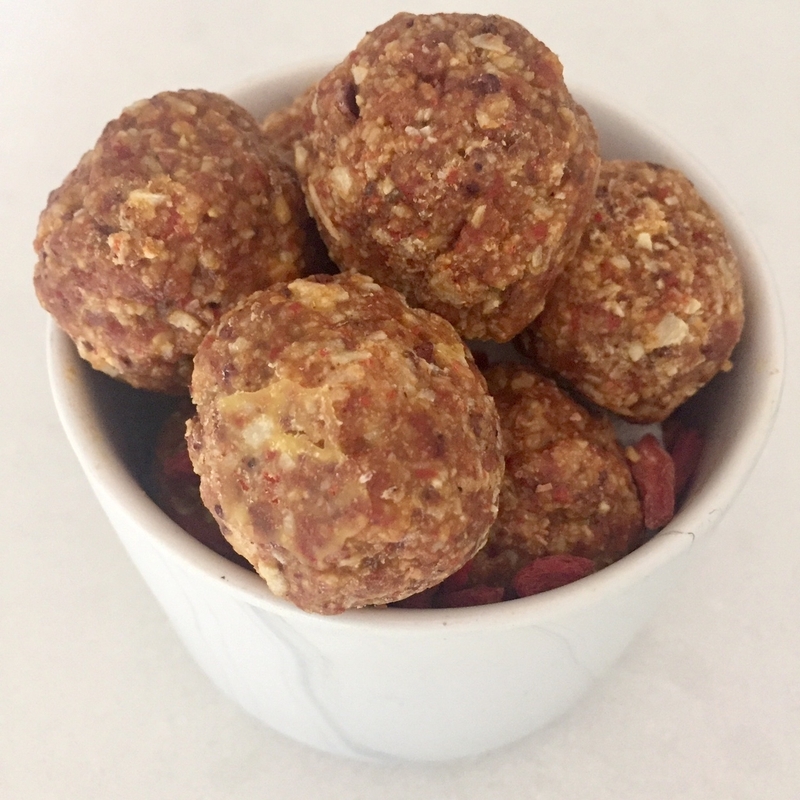 Bliss balls are a fabulous snack or after dinner 'treat' and what's even better about these ones is that they have a vegetable too! They are great for on the go and are super simple to make. Place all ingredients in a high speed blender and process until it is all well combined and smooth. 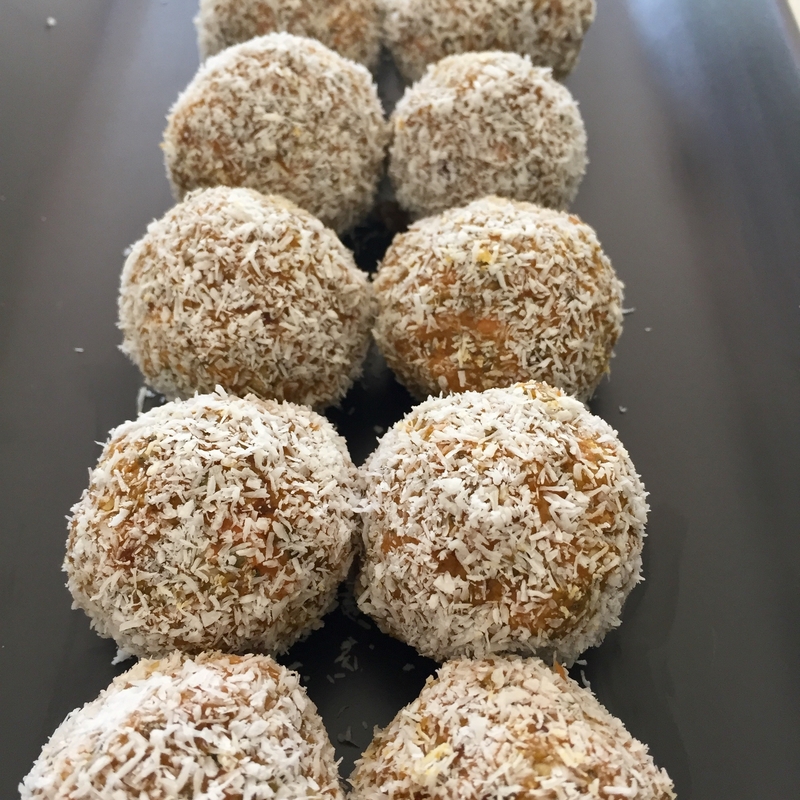 Roll 1-2 tablespoons of the mixture into balls and roll in the desiccated coconut. In between meal times can be very difficult for some. So having these balls in the fridge will make it easier to eat healthier at these times. One little ball will satisfy you thanks to the goodness from the good fats of the coconut and the protein source from the powder. It's a fun way to get this kids involved by having them help roll the balls. 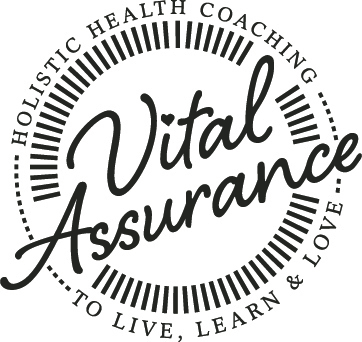 Being prepared and having healthy snacks ready and waiting is the best way to be able to avoid reaching for those unhealthy treats that are not going to do you any good. This cake freezes really well so you can portion it up and have it ready for the kids to take to school. Pre-heat oven to 160 degrees. Prepare loaf tin with lined baking paper. Place all ingredients into a blender or food processor and blend until all ingredients are well incorporated. Pour mixture into the pan and bake for 45-60 minutes depending on your oven. The cake is ready when you place a skewer through the middle and it comes out clean. Once cake is ready, gently remove the cake from the tin and allow it to cool on a wired rack. This cake freezes really well therefore is great to have ready and waiting to include in your lunchboxes. I will take it out the night before to thaw out on the bench. 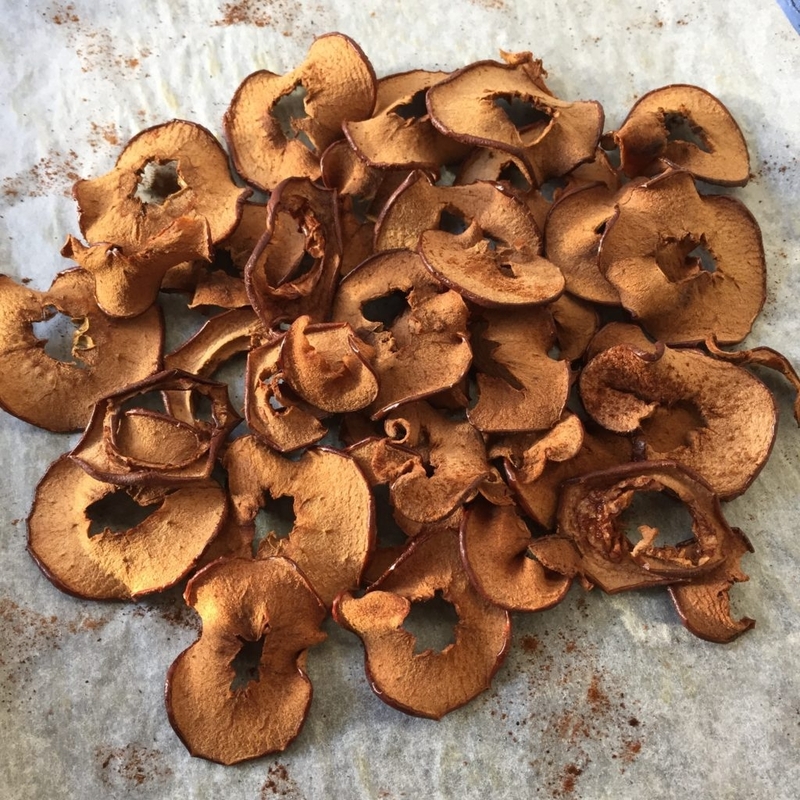 This makes a really easy and tasty snack for our kids. It provides a little variety to eating just a piece of fruit, yet doesn't remove any of the fibre or nutritional value. Pre-heat your oven to 120 degrees and prepare two trays with baking paper. Thinly slice your apples into circular shapes and spread over the trays so that they don’t overlap each other. Spray with some coconut oil and sprinkle with cinnamon. Do this on both sides. Place it in the oven for 2 hours, turning them half way. After the 2 hours, turn the oven off and open the door slightly, leaving the apples in the warm oven to crisp up. Transfer into a well-sealed container. The best thing about home made almond milk is the fact that you are left with the pulp that can then be used for something else. Almonds, being a great source of protein and good fats, make for an excellent treat and therefore are a great 'go to' snack when you are experiencing those sugar and hunger cravings. Place pulp, dates, peanut butter and salt in a high speed blender and process until well combined. Combine the cacao and coconut on a plate. Using damp hands, shape mixture into balls and roll in the coating. Best stored in a well-sealed container in the fridge. 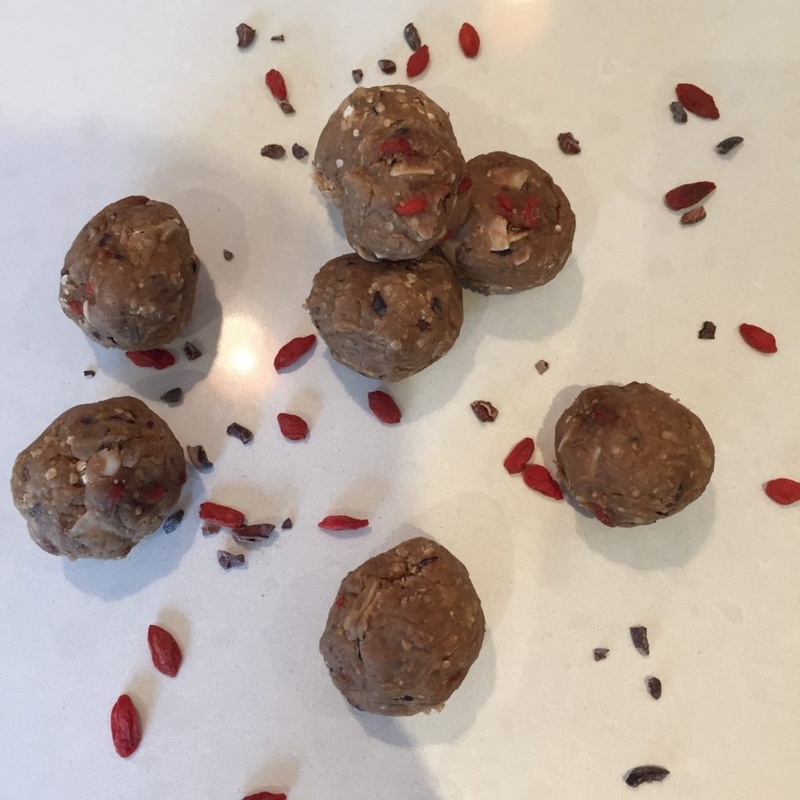 I find that many of the protein power ball recipes involve nuts which eliminates me being able to send them to school with my kids. 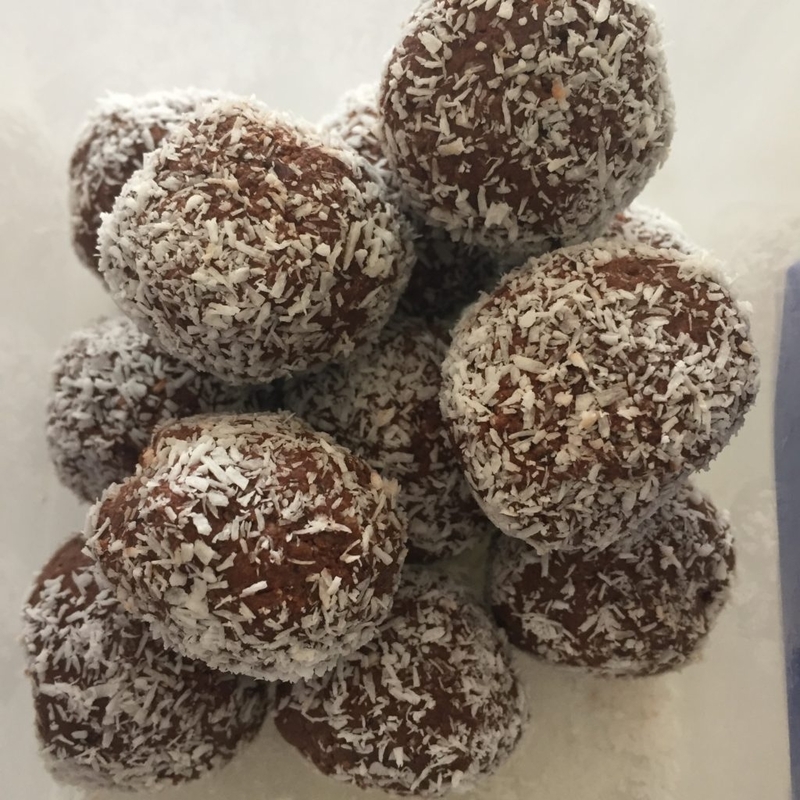 This is why I have created these balls that are based around coconut which not only provides a nice hint of sweetness but also gives you a good source of fat that will satisfy those cravings you may experience during the day. Place all ingredients in a high speed blender / food processor for approximately 30 seconds until the mixture is well combined. Using slightly wet hands (or gloves) carefully roll mixture into balls. Mixture will be soft and delicate. Place in fridge for 30 minutes to set. 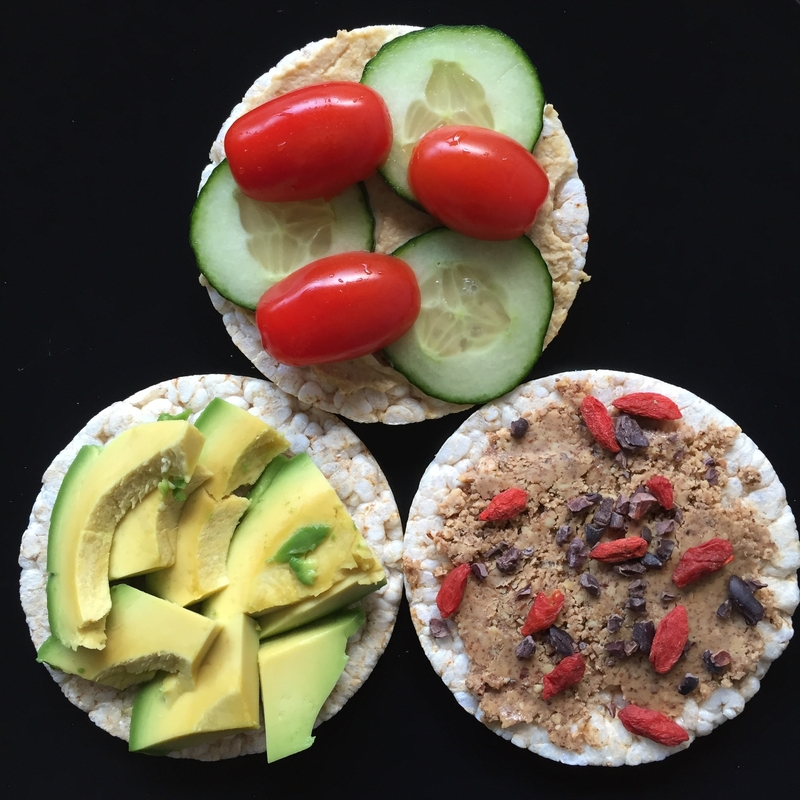 Rice cakes make great snack options and mixing up the toppings keeps it interesting for you. Whether you chose sweet or savoury, a couple of these will be perfect for a mid-morning or afternoon snack. Prepare your rice cakes by topping them with the ingredients listed. You can be as creative as you like with these adding whichever condiments and veggies you choose. 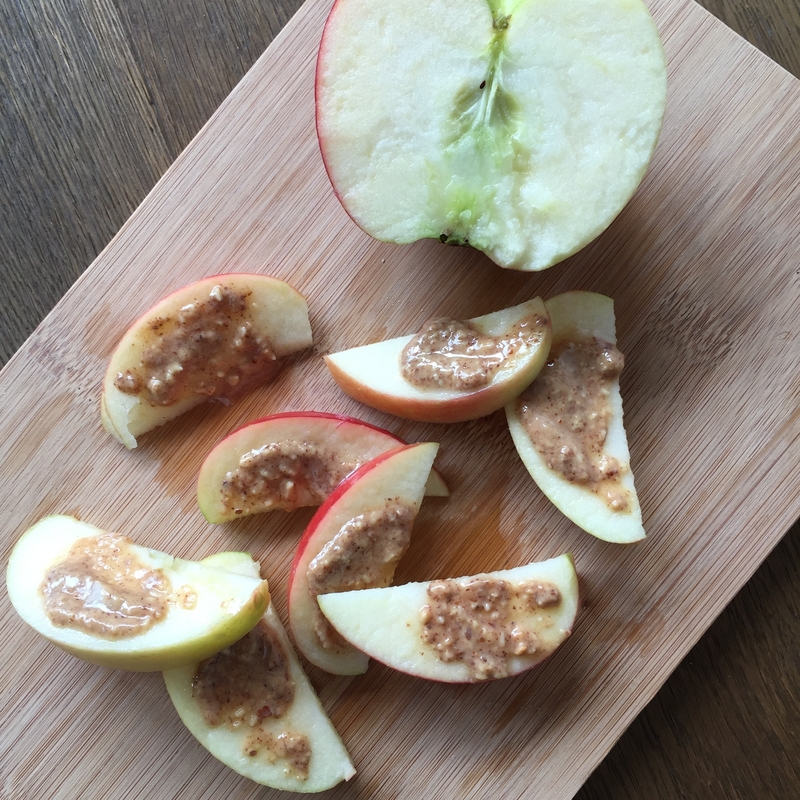 Here is a really easy snack that can be thrown together in a couple of minutes. 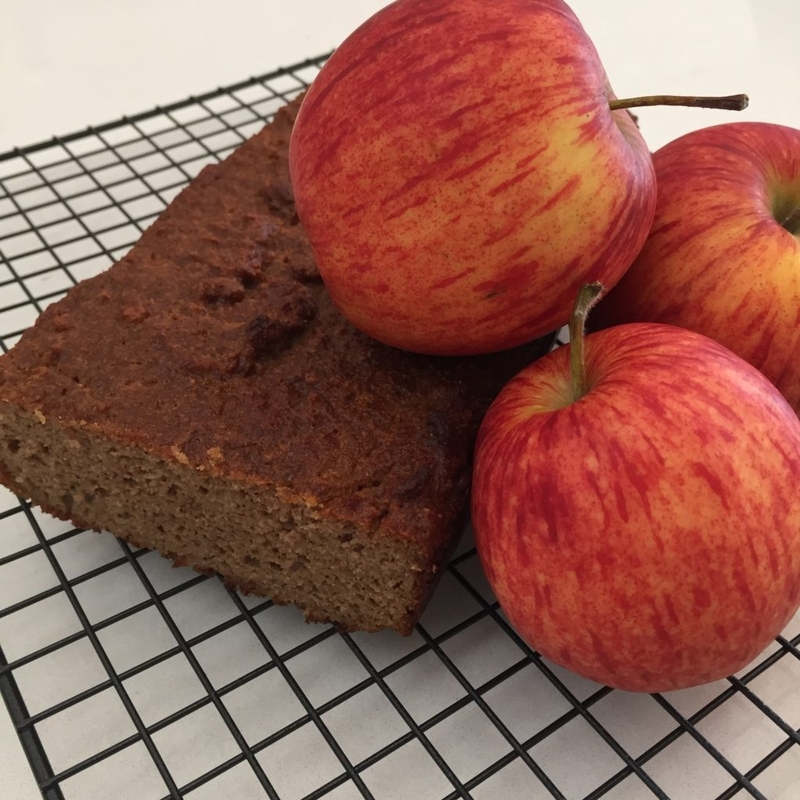 Pairing up the apple with almond butter or tahini will make a complete meal for you as it has fibre, fats and protein. This will keep you going until your next meal. Prepare apple and spread small amount of nut butter on each piece. Your kids (and of course you) are going to absolutely love these. They take 5 minutes to put together and are the perfect lunchbox snack. These will be the perfect option for when you are looking for something to give you a little extra energy. 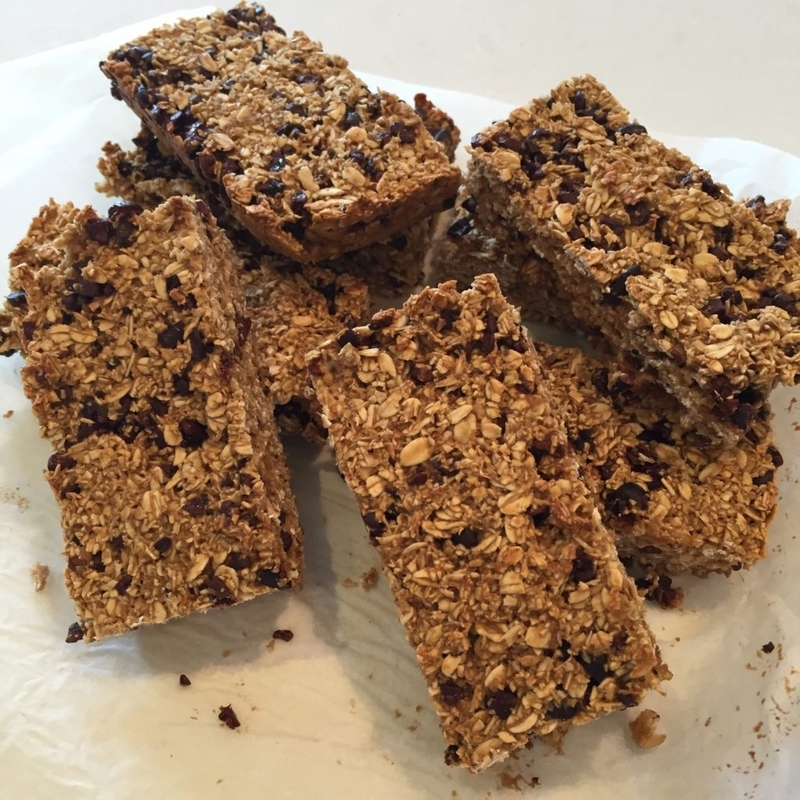 They will keep you full and they will settle that sweet craving without being packed with refined sugars, salt and trans fats you get from packaged muesli bars. Preheat oven to 190degrees. Line a 20cm x 20cm baking dish and set aside. Crack eggs into bowl and beat them slightly. Add all other ingredients except for the choc chips. Mix well to ensure that it is all combined well by the eggs. Add the choc chips and combine it into the mixture. Transfer into prepared baking dish. Bake for 15 minutes until golden brown. 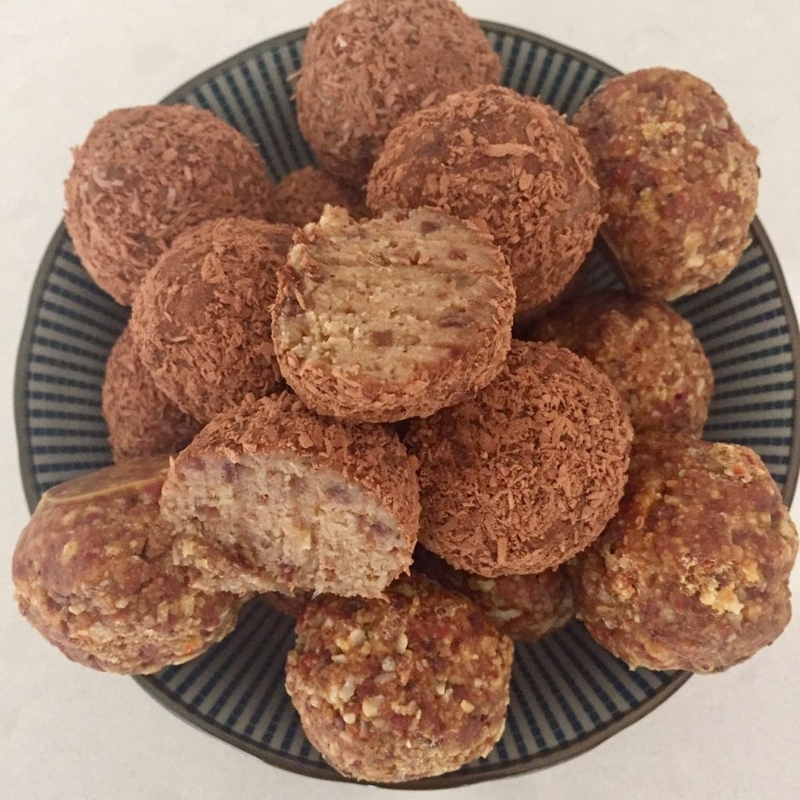 These protein balls are a fantastic option for you when you are looking for something to fill that void. The protein in the chickpeas and protein powder is bound to leave you feeling full and satisfied. The combination of ingredients also allows for a slow release of sugar into your blood stream therefore avoiding that sugar spike. Process the chickpeas until they are silky smooth and then transfer them into a bowl. Add all other ingredients and mix until well combined and of a sticky texture. Roll into 2cm balls and keep them stored in a well sealed container in the fridge.